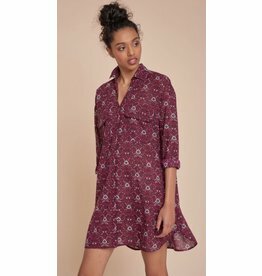 This easy cotton voile shirtdress, (a sister of our Tran Lucy Top), has a rich plum pattern and is just right for pairing with tights at work. Or, wear it with heels or booties and spice up holiday gatherings all season long. The Dinh Asia Kaftan is what would happen if your favorite lightweight shawl transformed into a super-wearable dress. The delicate print and blue pom-pom trim adds whimsy, but you can also pair it with denim for everyday glamour. 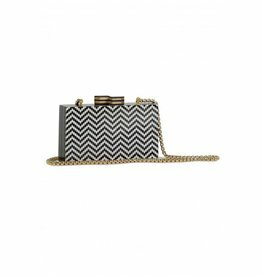 The graphic, zig-zag design and gold chain strap of the Xie clutch will pop just as much against a little black dress as a colorful top.